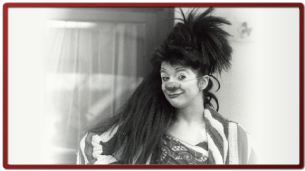 Francine Côté's Clown and Comedy School | Home ""
Continuity in a new way! They have been writing and directing shows since 2005, as well as creating over 15 clown numbers a year within the school program. A new website is under construction and will soon be online, offering their services for directing, coaching, writing and creation of scenarios. Master Classes in Clown (Character & Partnership Dynamics), Slapstick, Mime and Physical Theatre are available. After performing for 15 years as the duo Alfredo et Adrénaline then co-creating over 200 numbers and over 50 shows, the duo has developed an expertise in creation, marrying their respective specialities of character work, relationships with partners/public, scenario, writing, structure, physical play with mime, slapstick, and physical comedy. Together they are a force of creation. BILINGUAL CLASSES: Please note that all the classes in Montreal are taught in English and French simultanesly. In Canada, there are very few schools dedicated solely to the training in Physical Theatre. Often this art is taught on the periphery of other professional training. 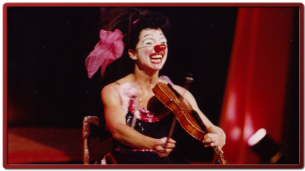 The Francine Côté’s Clown and Comedy School is a training center that creates a fusion of the physical arts: clown, bouffon, physical theatre, mask, mime technique and slapstick. At the Clown and Comedy School, the work of the physical actor is an exploration of physical space, direction and individual rhythms. The ease and the artistic background of the artist, as well as individual challenges are part of the personal process for each artist. The philosophy and artistic vision of the school is to develop the creativity and the personal signature of each student. The priority is placed on the art of clown and physical theatre. Our students are artists from different disciplines within the arts (theatre, dance, circus, stand-up comedy). And accordingly, the art of clown is fertile ground for this fusion of multidisciplinary arts par excellence. Francine Côté has developed a method of teaching where she can explore the individuality of each student. The human element is at the center of work, which is defined by what is created in contact with other human beings. The artist needs a family and the clown needs a public. That is why group work is essential for us. Each individual is supported by the group, acting as public, to help the artist evolve. Whether an artist of theatre, circus or the street, a place to meet other professionals and exchange ideas is always needed. Therefore, our artistic vision encourages complimentary interaction of disciplines within the dynamics of the group. The clown is born from the interaction with others, the notion of the group and community is very important to us. 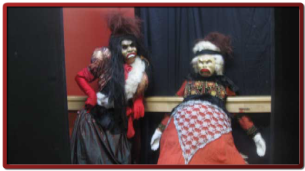 Francine Côté, who has 35 years experience in the profession, started in theatre, and rapidly concentrated her work on Physical Theatre and finally on the Art of Clown. 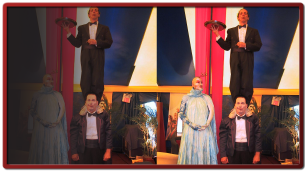 Few Clown artists have the depth of experience on stage, the street, in the circus ring or Cabarets. 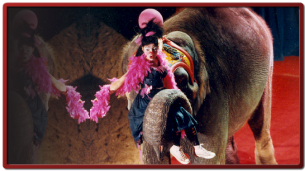 In effect, for more than 20 years she played clown in Theatres, Circuses and Cabarets throughout the world. 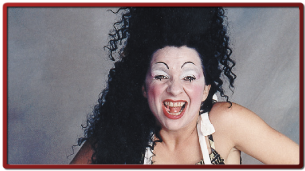 She is one of the pioneers of women clowns in Quebec. Clown work needs an emotional and physical commitment from all the students. Whether it’s in a physical theatre or in clown we always work to develop and adapt to the individual in front of us. This is the search to awaken the clown in each of us. Communicate with us before proceeding with a Paypal on-line payment. Graphic Design & Web Integration: Lockquell Productions inc.